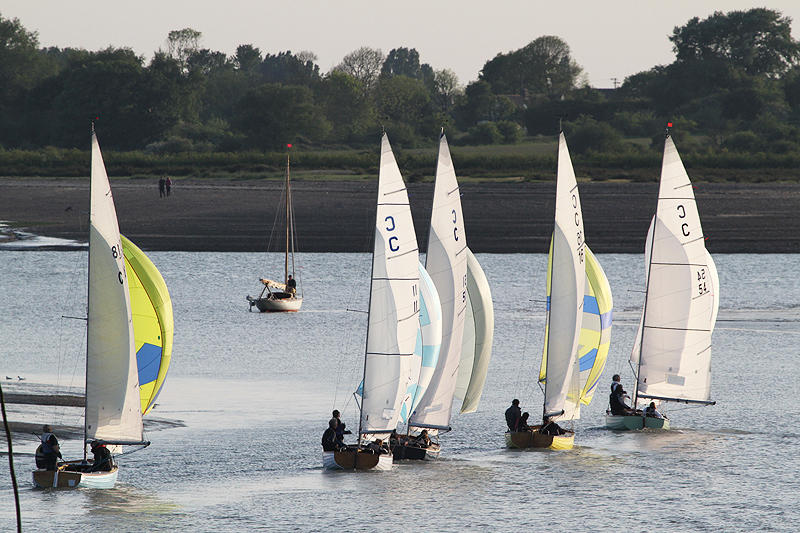 The third Thursday night pursuit race saw the BOD fleet triumphing again in a light and tricky low water race. This week the race committee had wisely decided to start the fleet from the line but then set them a course out in the main river so that they did not have to fight their way up and down the creek to the turning mark. The fleet got underway in glorious sunshine and a slowly dying easterly of around 8 knots and the boats had to feel their way out of the creek with one hand on their centreboard lines as dead low water springs approached. Alan Hicks in C54 Storm Petrel led of the line with Phil Rust in C16 Dulcet and David Charlton in C51 Grethe almost neck and neck right on his transom. Just behind them were John Payne, making his first appearance in his newly acquired C11 Grayling which is looking lovely in her new white and turquoise paint job, and John Saker helming C18 Gelasma with Mike Hempstead. Alan had eked out a small lead by Creekmouth but they were still closely bunched as they headed out to sea. By the end of the first lap Alan had gained a nice lead over the rest of the fleet who were still battling it out for positions. With the wind dropping and the ebb tide starting to built, plus the need to watch out for the depth and fend off boats from other classes it was challenging sailing and the entire fleet enjoyed a great race. 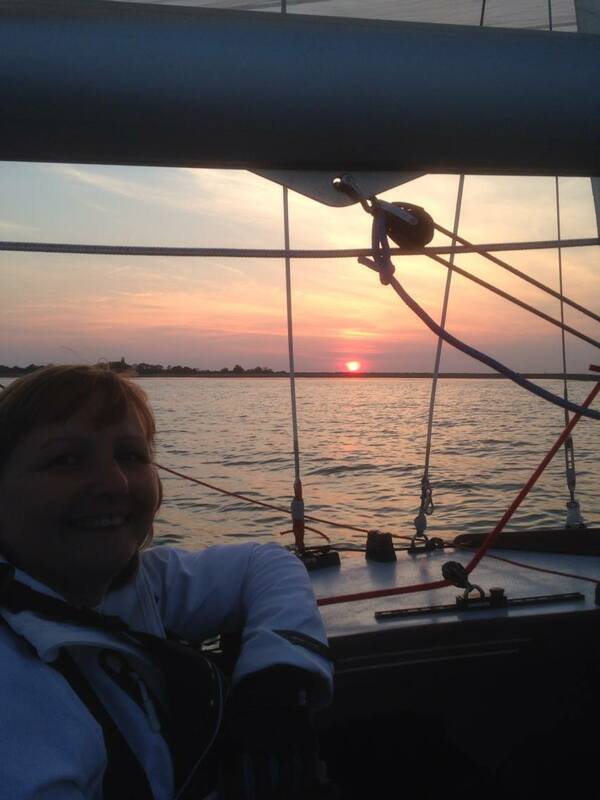 As they approached the finish time the sun set in a spectacular display of red and orange which made it even harder for the crews to concentrate on their sailing and not be distracted by the incredible beauty of our beloved Colne Estuary. In the closing stages of the race Alan had extended his lead impressively and he won both the BOD fleet and the race overall in spectacular style – his second victory of the series which puts him in the overall lead too. Behind him Phil was second BOD, closely followed by Dave, John P and John S.
As always the race committee did an excellent job and their decision to set a special course and keep the fleet out of the creek at low water was inspired. Huge thanks to Race Office Barry Newman and his team for their terrific work. And finally thanks to Laura Whitfield for this lovely photo gallery taken from the rescue boat.